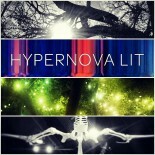 Hypernova Lit is an online journal dedicated to publishing the writing and visual art of teenagers. Hypernova Lit seeks to cast light on the brilliant work produced by teenagers. We are deeply committed to honesty and fearlessness in the work we publish, with a particular emphasis on teenagers telling their own difficult truths. Out of respect for our writers and artists, we do not censor for language or content. Chelsea is a published and award winning writer, a public high school creative writing and English teacher in Dallas ISD, and managing as well as fiction editor of Chicago-based HYPERtext Magazine. In her spare time she reads and watches television and plays double solitaire with her husband, Bryan, who is also a teacher. Her life mission both in the classroom and through Hypernova Lit is to nurture and promote the creativity of teenagers. Find out more about Chelsea here on her website. Bryan is a public high school AP Literature teacher in Dallas ISD. He reads avidly and keeps a journal in which he sketches, archives his life, and writes poetry when inspiration strikes. His other interests include wood and metal arts, household projects, and in general working with his hands. His favorite activity is going to the movies with his wife, Chelsea. As a teacher, Bryan has started student literary magazines on two campuses and works always in his classroom to connect his students with a love of writing and reading through creativity. Juwairiya Syed graduated from University of California Davis (the other Berkeley) in 2016 with a Bachelor’s Degree in English and an emphasis in Creative Writing. She served as writer and contributor to various independent blogs throughout her time in college. She spent many unpaid hours editing and revising other college students’ essays. She is currently a public high school teacher in Dallas, TX. When she is not teaching, writing, or reading, she is binge watching shows on Netflix. She lives with her parents which is not embarrassing because she doesn’t have to pay rent. Recently, she travelled to her parents’ home country, India, for the first time and almost died of food poisoning. Hello! All of these questions are answered on our Submit page here: http://www.hypernovalit.com/submit. If there is anything else you need to know that isn’t on that page, please feel free to email your questions to hypernovalit@gmail.com. Thanks!